A helicopter was called in to search for a man after it was reported someone had been seen with a shotgun near Chichester. Police responded to reports that the man had been seen in the Bosham and Chidham area after 12pm today (Wednesday February 13). When the man was found, police said they found 'all was in order'. Chidham Primary school had to be told about the situation by police. 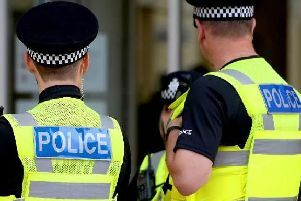 A spokesman for Sussex Police said: "Shortly after midday on Wednesday (February 13) police received reports of a man being seen with a shotgun in the Bosham and Chidham area, near Chichester. "A search, supported by a police helicopter, was made to locate the man. Chidham Primary School was alerted to the situation, but advised to operate as normal. "The man was found and spoken to, but officers found all was in order and no offences had been committed."